Join Sean Roy Parker for a quick litterpick of Croydon’s parks and a chat about his work, followed by a communal potluck lunch. The event marks the start of Sean’s Fungus Press commission, in)organic~matter(s. Open to all, arrive at any time. Bring a veggie or vegan dish to share, warm clothes and something to sit on. Litterpicking equipment provided by Croydon Council. 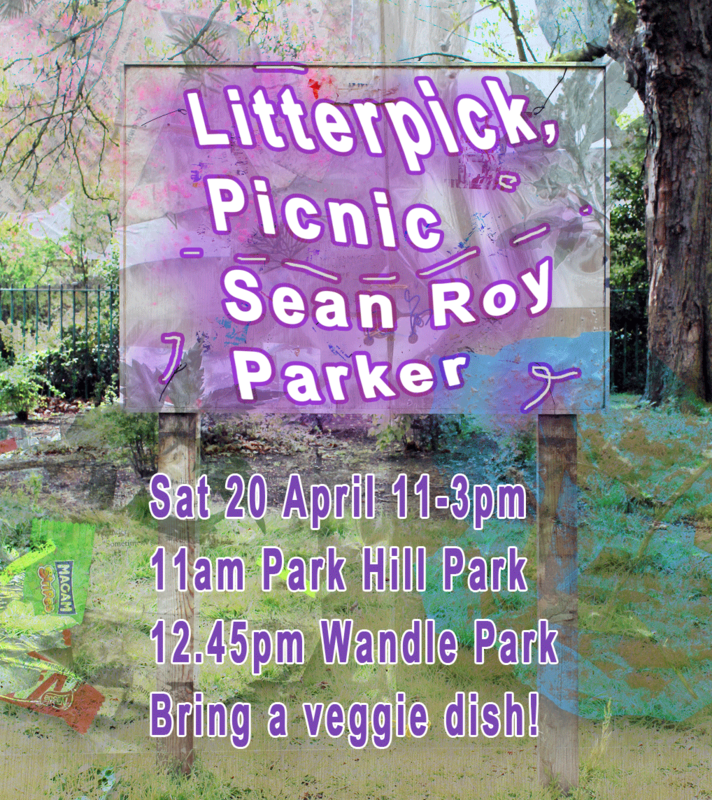 Sean Roy Parker lives and works in London. He has recently exhibited in ‘The romance of flowers’ at Kingsgate Project Space, London, ‘Permission Slip’ at Good Press, Glasgow, ‘SURPLUS’ at Peak Art, London (all 2018) and has an upcoming project with Chaos Magic, Nottingham. His public programming initiative PEFA Projects has collaborated with Our Human Library, Liverpool (2019), Bloc Projects, Sheffield (2018) and Cell Project Space, London (2017). Parker runs Brixton Pound Café, London’s only radical pay-what-you-can community café, and is a Lead Artist on Get The Message, Camden Arts Centre’s Special Educational Needs (SEN) schools programme.